Emily Haigh is an English actress born in Devon. Her love for acting began at an early age, when she was invited onto the stage during a show in Lapland. This formative moment was encouraged by her supportive parents who enrolled her into The Leonard School of Dramatic Art (LSDA). Two years later, Emily landed a role in a show for the BBC’s mainstream channel for children, CBBC. Her first break in feature films, came at just twelve-years-old, doing the voice-over as Camille’s sister in Quantum of Solace the $200 million budget James Bond movie. This was followed by being cast in the Columbia Pictures period costume drama, The Other Boleyn Girl, in the same year. In 2009, Emily landed a role in the BBC’s hospital drama, Casualty – a show she was asked to return to four years later. After a successful audition for Focus Features in 2011, Emily was cast as Georgiana Reed in the Oscar nominated Jane Eyre. The following year, Emily was awarded a Gold Medal for her performances at the London Academy of Music and Dramatic Art (LAMDA). 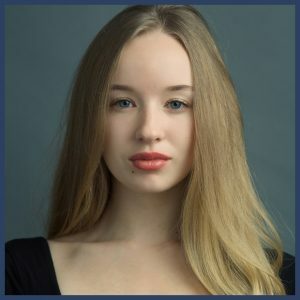 For the next three years, Emily appeared in a string of successful music videos for such artists as Iko, Vivid Nation, Maddy Carty, and Years & Years. Emily made her directorial debut with the short film, Dead Wrong, which received an exclusive screening at the Lee Strasberg Institute just weeks after its general release. Based on her performance in the lead role of this short, Emily was cast in two feature films. Emily was cast in the lead role of Aleisha in The Inuring, and then joined the production team as a Producer for the film.